Looking for something to watch this evening? I’d like to call your attention to two recent documentaries which address Turkish human rights issues. 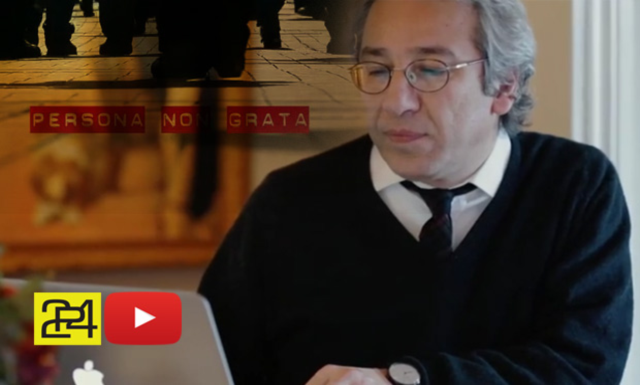 The first, Persona Non Grata, was produced by P24 and addresses the pressures placed on journalists in Turkey. It can be viewed with English subtitles here. The second documentary is an episode of MTV’s Rebel Music series, addressing the aftermath of Gezi. The series has been developed in cooperation with Amnesty International’s Art for Amnesty program. The full episode can be viewed here. This entry was posted in Amnesty International, Excessive Force, Freedom of Expression, Gezi and tagged Amnesty International, Freedom of Expression, Freedom of Press, Gezi Park, Journalists, MTV, p24, Rebel Music, Turkey. Bookmark the permalink.